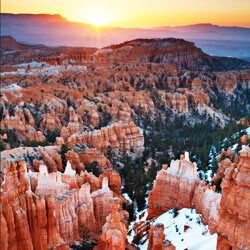 No Dirty Coal Mines Near Beautiful Bryce Canyon ! PLEASE SIGN ! ! Bryce Canyon National Park is one of our nation's true gems -- with soaring red rock spires and spiky cliffs, Bryce is an awe-inspiring place. And because it's a national park, it belongs to all of us. SIGNED and Noted!! Thanks!! Ciao!! Signed and Noted ..thanks Cher! More stupidity, greed and theft from the American people! Signed! Signed in support against Environmental destruction..Thanks Cher! Happy to sign. Thank you. Thanks! I signed this petition plus many more!! !